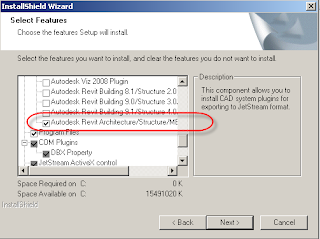 Autodesk NavisWorks Jetstream needs to be installed to enable an export from Revit. Here are some simple steps to achieve this. 3. Create a 3D view for name this view “Export for Navisworks”, use VG to set view that you need to export. 6. Open NWC file in Navisworks Jetstream > save as NWD, this file can now be circulated. The Revit > Navis workflow can be enhanced by introducing an NWF file where the NWD from Revit can be linked in. Save views including section views, eyelevel views for floor levels etc in the NWF. The NWD for publishing can then be written from this NWF file. The immediate improvement to workflow is that you can create new exports on a regular basis and quickly produce a file for distribution with the same views saved. Kevin says: "This is great. Exactly what I was looking for. Thank you." This is great. Exactly what I was looking for. Thank you.